4. After a few moments, a screen is displayed where the passkey is entered. 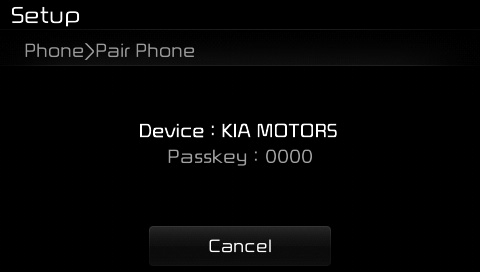 Enter the passkey “0000” to pair your Bluetooth® Wireless Technology device with the car audio system. 4. After a few moments, a screen is displayed 6 digits passkey. 5. Once pairing is complete, the following screen is displayed. 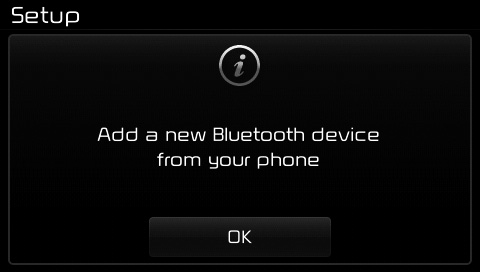 Some phones (i.e., iPhone®, Android and Blackberry phones) may offer an option to allow acceptance of all future Bluetooth connection requests by default." and "Visit http://www.kia. com/#/bluetooth for additional information on pairing your Bluetoothenabled mobile phone, and to view a phone compatibility list. 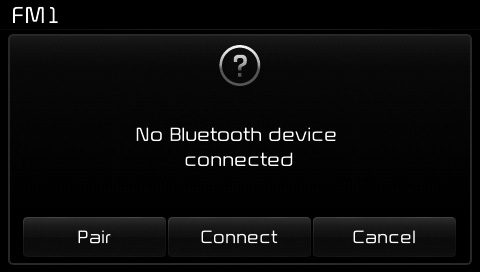 If Bluetooth® Wireless Technology devices are paired but none are currently connected, pressing the key or the key on the steering wheel displays the following screen. Press the [Pair] button to pair a new device or press the [Connect] to connect a previously paired device.